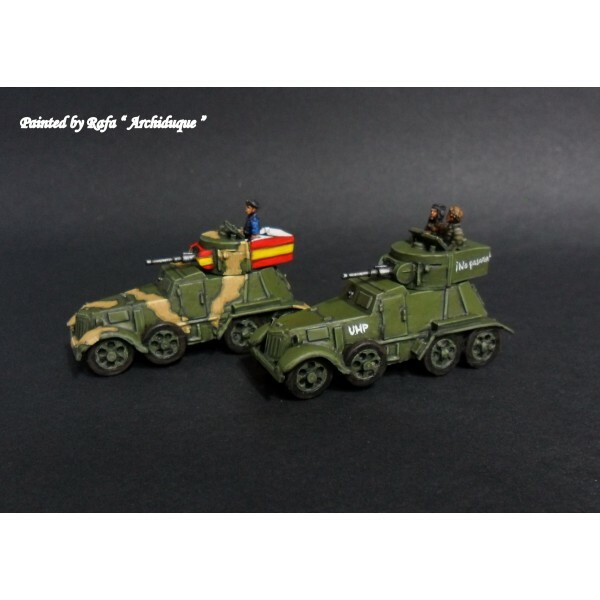 Now in stock at Scale Creep Miniatures we have the new 18mm Spanish Civil War range from Warmodelling/Capitan. The new codes include vejicles, guns, Guardia, Militia and much more. This looks to be a very comprehensive range when complete. Keep watching for more releases over the fall and into winter 2014! This entry was posted on Wednesday, July 30th, 2014 at 19:28 and is filed under News. You can follow any responses to this entry through the RSS 2.0 feed. You can leave a response, or trackback from your own site.